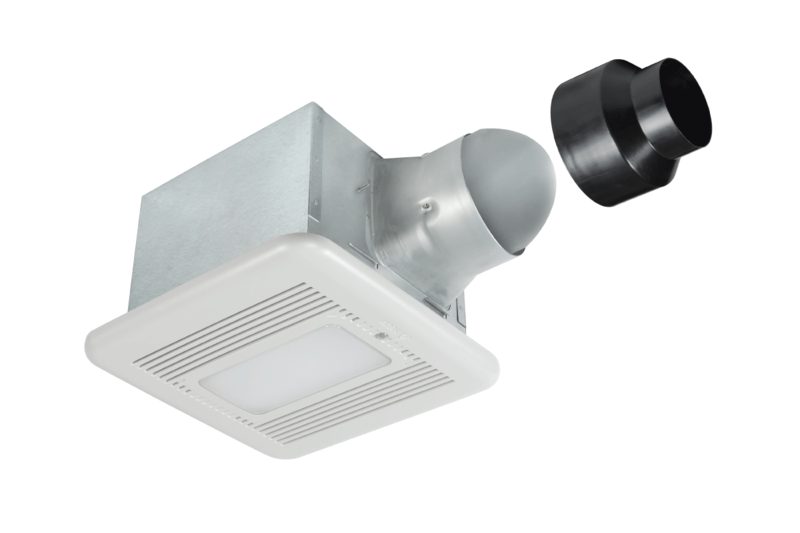 Delta BreezSignature SIG80-110MHLED is the only adjustable high speed and adjustable low speed bathroom exhaust fan with a dimmable LED light & nightlight that includes built-in humidity and motion sensors along with long-lasting, energy-saving, brushless DC motor technology. Humidity sensor automatically turns the fan on and off when humidity is above or below the preset level for hands-free operation. 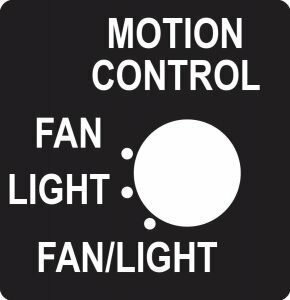 Motion sensor gives users the choice to control the fan, dimmable LED light, or both, making it the first and only ventilation fan on the market with this kind of control. The numerous features and configuration options create a truly unique experience for users. This fan is virtually silent at <0.3 sones at full speed to maximize homeowner comfort. The ability to customize air flow, motion controls, humidity sensors and choice of main light or nightlight provides a combination that is uncontested within the current market. Additionally, the level of efficiency provided by the product makes it ideal for sustainable building projects, which are rapidly becoming the norm. The SIG80-110MHLED is designed to meet ENERGY STAR’s Most Efficient 2017 standards. This fan provides outstanding performance at an exceptional value. Today’s homes are airtight and highly insulated, so proper bathroom ventilation is essential for healthy indoor air quality. Code requirements, such as ASHRAE 62.2, ENERGY STAR®, and CA Title 24 are driving demand for high performance fans. Delta BreezSignature SIG80-110MHLED is an affordable, feature-rich fan with built-in adjustable high speed options of 110 CFM or 80 CFM to accommodate constant airflow designs. This allows installers to meet buildings codes and conduct field tests. 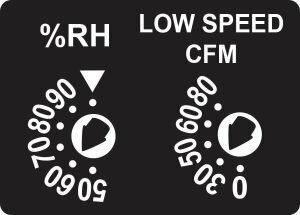 The fan also has built-in adjustable low speed options down to 30 CFM to meet ASHRAE 62.2 requirements for continuous or intermittent operation. Built-in adjustable humidity controls accommodate any climate. An energy-efficient main dimmable LED light and LED nightlight is also included. Innovative brushless DC motor technology outlasts fan with typical AC motor by 2-1/2 x for long life, eliminating time and money associated with callbacks or replacements. The fan is ENERGY STAR Most Efficient 2017-qualified and uses only 9.7W at full speed to meet sustainability initiatives, and is virtually silent at <0.3 sones to eliminate noise complaints. This fan has 3 year warranty for quality assurance and peace of mind. Builders will gain a competitive edge over the competition by offer this fan with unique functionalities. Many of today’s homes are airtight and highly insulated, so proper bathroom ventilation is essential for healthy indoor air quality. Delta Breez SIG80-110MHLED is a feature-rich fan with built-in dimmable LED lighting, and humidity and motion sensors to add intelligence to a bathroom. The humidity sensor automatically operates the fan based on the room’s humidity level, ensuring it’ll never feel muggy or sticky when you step out of the shower. The motion sensor can be set to activate the fan, light, or both, depending on individual preferences. Hands-off operation assures the fan will be turned on to maintain healthy air quality. Dimmable LED light and nightlight provide energy efficient lighting. Innovative brushless DC motor technology outlasts a fan with typical AC motor by 2-1/2 x for long life. The fan uses only 9.7W at full speed to save energy usage and reduce electricity cost. With virtually silent operation at <0.3 sones, you’ll hardly notice the fan is operating. This fan has 3 year warranty for quality assurance and peace of mind. This contemporary fan meets the demands of homeowners who interested in owning a quiet fan, conserving energy, saving money, and using LED lighting to improve their quality of life.